Coert combines his background in Computer Science and Medical Image Analysis for bringing state-of-the-art machine learning techniques into clinical use. He is passionate about architecture in a broad sense. He enjoys being responsible for smooth integration and maintainability of Quantib's solutions, but also loves being the photographer during a walk in the city. 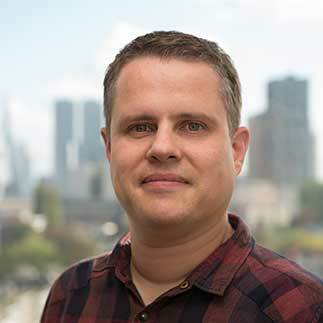 His educational background includes an MSc in Computer Science from Utrecht University and a PhD on cardiac image registration from the Erasmus MC in Rotterdam. During his studies he owned his own web design company, where he handled both the “web” and “design” related work.